Keynote speaker will be Bonita Joyner Shields, currently serving in the Sabbath School/Personal Ministries Department of the General Conference as Editor and Assistant Director for Discipleship. Prior to joining the SSPM staff, Pastor Shields served for five years as an assistant editor of the Adventist Review, and for almost seven years as an associate pastor of the Spencerville Church in Silver Spring, Maryland. While at the Spencerville Church, she was responsible for the children’s, women’s, and teaching ministries of the church. Pastor Shields received her undergraduate degree in theology at Columbia Union College (now Washington Adventist University), and her master’s degree in pastoral ministry from Andrews University. She and her husband Roy have been married for 31 years. With a powerful presentation and breakout session by Mary Jo Dubs, developer of God in Shoes – a community outreach event. Don’t miss it! To print a registration form click here. To see the brochure click here. Looking back at this year’s Camp Meeting, we have a reason to rejoice! 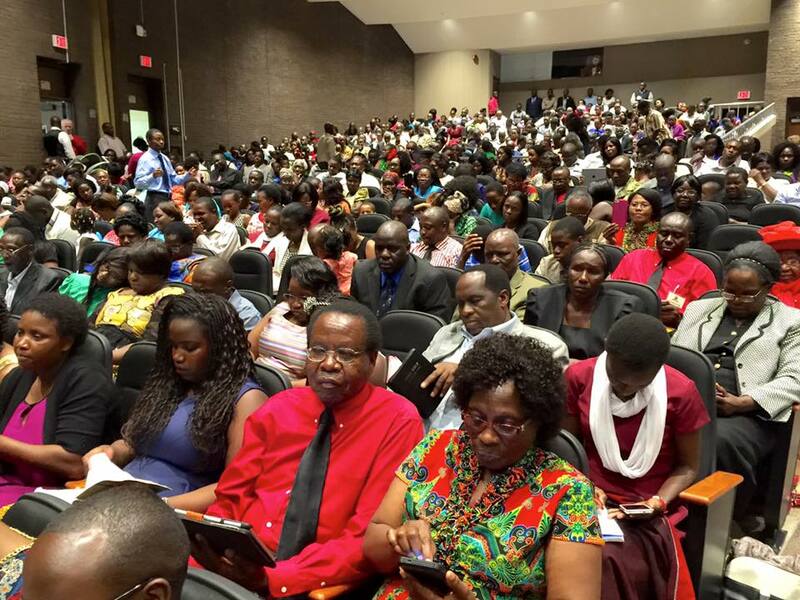 July 19th – 25th , 2015, a week after the GC Session, was chosen for the Twin Cities African Camp Meeting, to allow the churches to settle after coming back from San Antonio, Texas. The camp meeting tapped into the Session delegates to be Camp Meeting guest speakers. 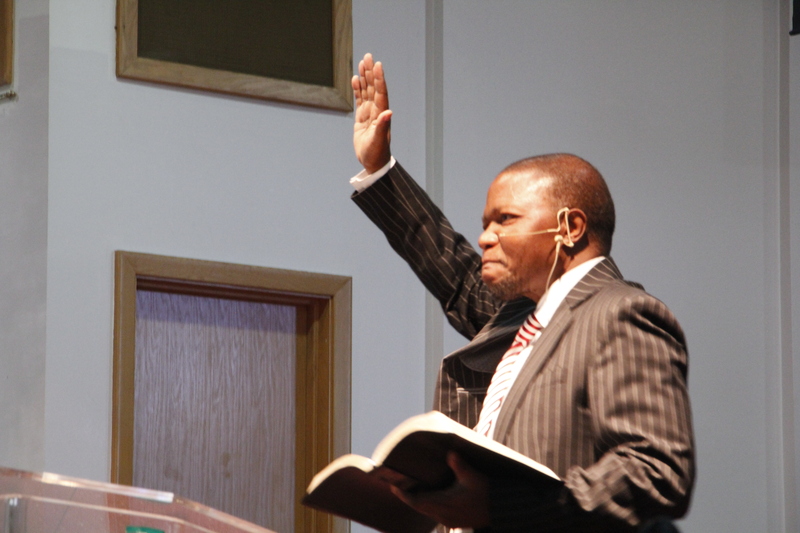 This year 2015, our main speaker was Elder Clifford Nhlapo, President of Kwazulu Natal Free State Conference of the Seventh-day Adventists in South Africa. The other speakers were Pastor Irene Ombati, Women, Children and Sabbath School Ministries Director, as well as Camp Meeting Coordinator of Nyamira Conference – Kenya. She was our Bible Study Speaker. The guest speaker for Young Adults and Leadership Lessons was Pastor Ezra Okioma – currently the Youth Director in Central Kenya Conference. Then we had Pastor Darriel Hoy, who is the Central States Conference Youth Ministry Director, guest speaker for the youth. I love Camp Meeting. Camp Meeting is a time to take a break from the year’s monotony and focus on The Word of God. Camp meeting is a time when The Word is spoken with power and what an impact I have seen both in my life and in the lives of people I know. You ask why rejoice? Why not? My answer more personal, as Pastor Nhlapo was making the appeal and one by one God’s sheep heard and recognized the voice of the Good Shepherd. By the time the call ended, tens and tens of persons had come up for a prayer of dedication and 18 men, women and children decided to commit their lives to Christ by asking for Baptism; this is why I rejoice. Amen! The good news is that 7 of those who were baptized that afternoon were from Faith Mission Church District, the district I’m privileged to pastor. Two of those seven, are people I have been working with, praying for God to make clear the way for their baptism. When I saw them respond to the alter call, I was freshly impressed at how God works. God had a time for them which neither they nor I knew about. He sure makes all things work well in their own time. We thank God for the success of the 2015 Twin Cities African Camp Meeting, for the seed of The Word sown, and for the souls won to the Kingdom. May God, I pray, enlarge our territory. Amen. 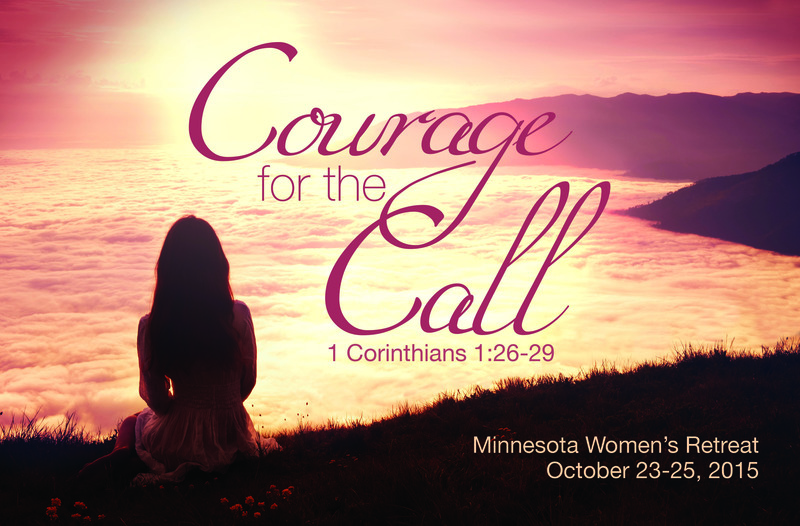 The 2015 Twin Cities Camp Meeting was a powerful spiritual encounter with God. God’s spokesperson Pastor Clifford Nhlapo, President of KwaZulu Natal Freestate Conference spoke from the Biblical prophetic writings. 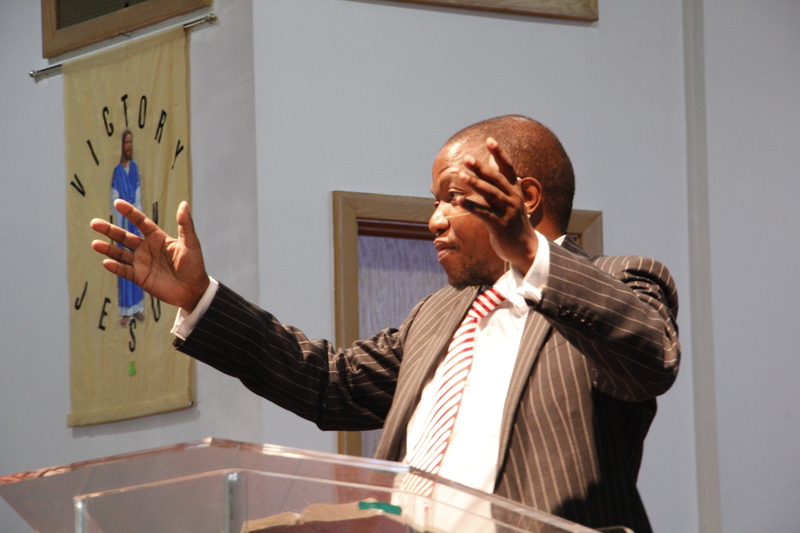 Pastor Nhlapo pointed out that these prophetic writings of the Bible are relevant for us today. Every day he would pick two passages from the prophetic writings, one for the morning service and the other for the evening service. He would share relevant instruction, pointing out God’s will for us as individuals and as a church. Pastor Nhlapo told the congregation that these messages where given for our instruction, correction, rebuke and our edification. The pastor picked passages from Isaiah, Jeremiah, Ezekiel, Joel, Zachariah, and several other prophetic books to challenge the people to live right and be winsome in the community where they live. The pastor would then move from the Old Testament and use passages from the Gospels of Matthew, Mark, and Luke and other New Testament passages to appeal to churches and Individuals to do ministry as a people who are living in the last days waiting for the Second Coming of the Lord Jesus Christ. During this Camp meeting we heard, we saw with our own eyes and felt with our hearts the gospel appeal for Repentance and Baptism. Many experienced in their hearts how Godly sorrow over sin brings repentance that leads to salvation. We all watched as several souls accepted Jesus Christ as Savor and Lord. We witnessed 18 souls join the church by baptism. Now I know that in this contemporary culture, the most acceptable message has nothing to do with sin or sinner. Many preachers only talk about a change of lifestyle and a change of life circumstances with no repentance of sin. The Bible teaches about accepting Jesus, and that when one sees and accepts grace, that person will repent and turn away from sin and sinful ways (Rom 10). Pastor Clifford Nhlapo challenged the camp meeting that the church must live in the community as people who have been saved and as people who have the good news. We must be willing to share that good news, telling friends that Jesus is a Savior, so “no one should perish!” We must also tell our friends and neighbors that Jesus is coming back as Judge. Yes Jesus wants to save men and women, boys and girls. Yes, Jesus loves all people from every race, nation and tongue. Yes, His mercy extends to every sinner right up until the moment they die, but that mercy must be accepted! Yes, it is all by grace. My friends, we are saved by grace alone! The judgement is given in favor of the sinner who accepts grace. This is the good news of the Christian faith. I was getting ready to assist Pastor Clifford Nhlapo with baptism when I heard two kids talking. “Why are they getting in the water?” said one. The other asked “Are they going to be wet all over?” I said “Yes, they are getting baptized” I thought about that answer … What does that really mean? There are many different views on baptism in Christendom. What do we as Seventh day Adventist mean when we say baptism? I think that baptism characterizes Christian devotion, it is a sign of Christian discipleship. Now linguistically the English word baptism comes from a Greek word ‘baptizo’, a word which means to “dip, immerse, plunge, sink, drench, overwhelm” The word implies immersion rather than sprinkling or pouring. I looked at same passages in the Bible e.g. Mark 1:10; John 3:23; Acts 8:38-39. As I stood there that Sabbath watching and assisting in the baptism, I thought to myself that we are making the assumption that these men and women, boys and girls in this service are expressing their faith in Christ as Savior and Lord. Paul in his theological argument for baptism says that baptism commemorates the death, burial, and resurrection of Jesus. 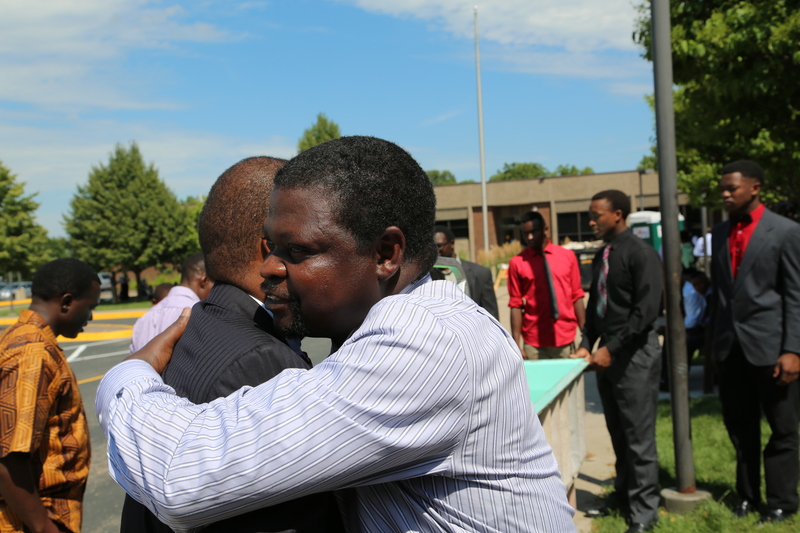 On July 25, 2015 as we were closing the MN African Twin Cities Camp Meeting, we witnessed the baptism of 18 souls who received the Word. They were baptized and will be added to the church as disciples. As these souls were being baptized, they were openly and publicly identifying themselves with Christ. We Adventists make the assumption that these people who are getting baptized have accepted Christ and thus are acknowledging that they now have died to sin. When they come out from the water they are raised anew into the newness of life. As a church, we teach that baptism is a rite of passage into the Christian church, thus those that are baptized take on a new orientation in life. They pledge to follow Jesus Christ, to serve him and support Christ’s mission through the church. The Seventh day Adventist Church believes that the church is commissioned by Christ to a) Go to all people- preaching the everlasting gospel, b) teach and baptize, and c) make disciple by teaching them to observe all things Christ commanded. Discipleship then happens when men and women, boys and girls follow the Acts 2:41 blueprint 1) receive the word, 2) be baptized, and 3) be added to the church. 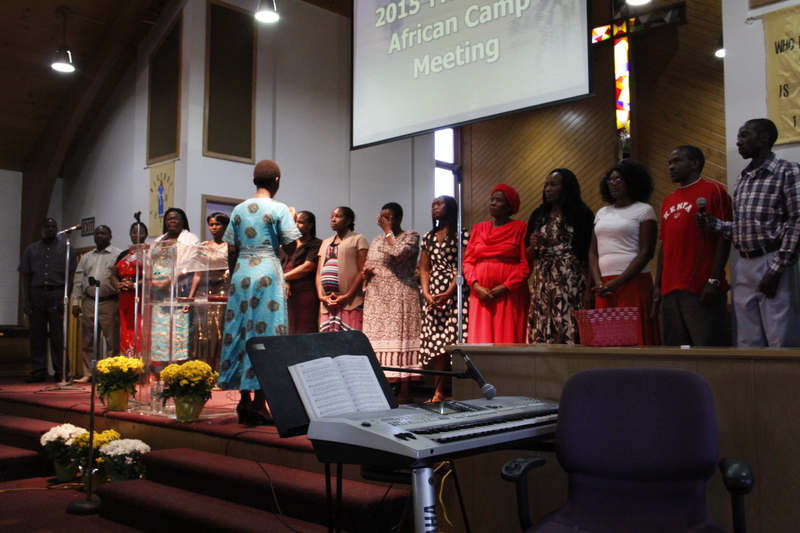 The last day of the annual 2015 Minnesota Twin Cities African Camp Meeting ended with a celebration of 18 souls accepting baptism and becoming new members of the Seventh-day Adventist church. Those who were baptized varied in age from young to the elderly. The baptism was done outside the Jefferson High School auditorium in Bloomington, Minnesota. A large attendance record on Sabbath, July 25, 2015 tallied more than 1000 people in attendance. 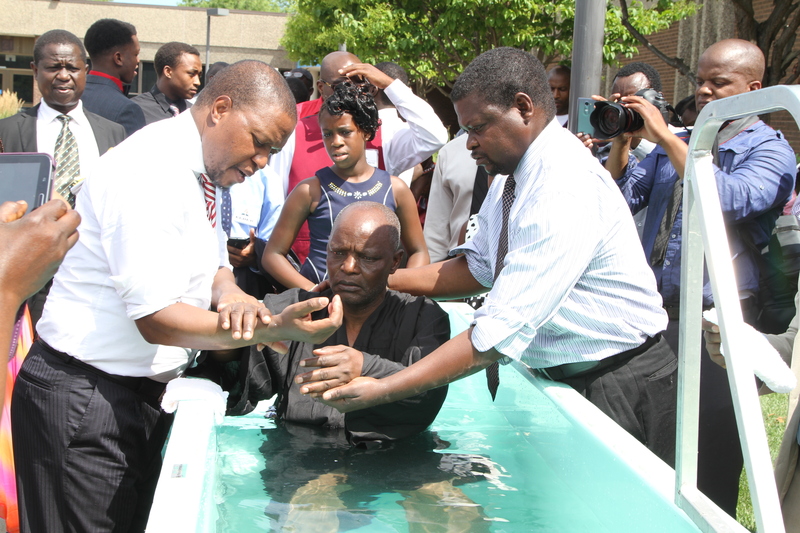 The baptism was done by the main guest speaker from the South Africa KwaZulu Natal Conference, Pastor MC Nhlapo, and assisted by Pastor Brian Mungandi, Vice President of the Minnesota Conference. 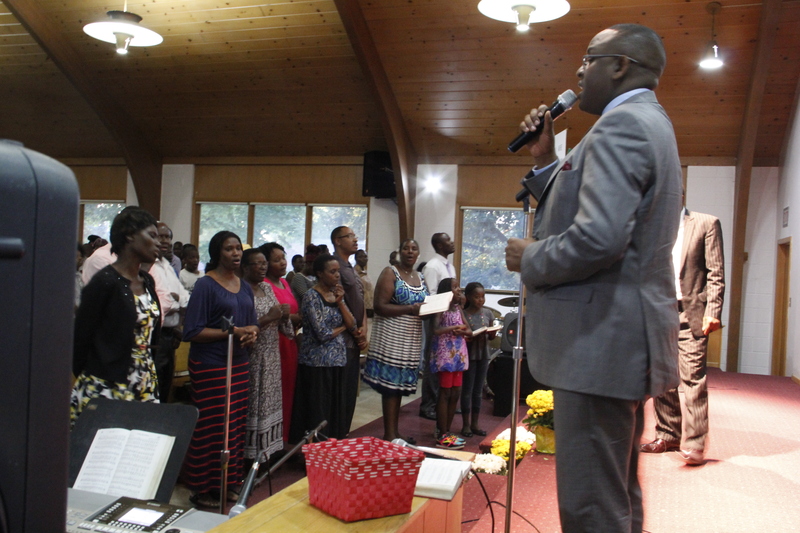 We had several other camp meeting speakers such as Pastor Ezra Okioma from Kenya. We thank the Lord for the work that went into the camp meeting and for the souls that gave their hearts to Jesus. We are looking forward to next year. I have noticed that among the African immigrant community, we have elevated reports of hypertension (this is not a scientific study). Scientific studies have shown that blood pressure is a significant contributor to complications such as heart disease, stroke, peripheral vascular disease, and kidney failure. We thank the African Twin Cities Camp meeting’s planning committee for allowing blood pressure screening during camp meeting. This is the second year in a row that free blood pressure screening has been done by church members who are in the medical and nursing field during camp meeting. They came together to offer a free service to the community. They do the screening, give counsel and in some cases, give referral to health care services. These healthcare workers have become our partners as we try to improve the quality of health in the African immigrant community. The camp meeting planning committee bring Doctors out to talk and discuss varies health issues in easy-to-understand language and in a non-threatening environment. We hope that this will result in health awareness that leads to improved health in our community. The Minnesota Conference of Seventh-day Adventists wants to thank the Camp meeting planning committee, all churches who have contributed financial support and every church member who helped in any way. You all deserve our grateful thanks for your Christian spirit and hard work. Dr. Stuart Tyner immersed both teachers and pastors in the wonder of God’s grace at both morning and evening worship experiences. While pastors continued their studies with Dr. Tyner, teachers studied enhanced techniques for presenting Reading and Language Arts under the tutelage of Dr. Krystal Bishop, head of the Department of Teacher Education at Southern University. Teachers were pleased by Dr. Bishop’s focus on teaching children to embrace the beauty and grandeur of Scriptural Thought Presentation. They were also shown the importance and how-to of maintaining rigor in these central classroom disciplines. Andy Carlson (Georgia) and Jesmarie Iverson (West Virginia) will be teaching grades 1-8 at Minnetonka Christian Academy with Devonett Wilson (Twin Cities, MN) serving as a part-time teaching assistant *(Bible and Language Arts) in the upper grade classroom. 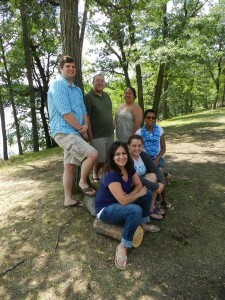 Christal Matsomuto (Hawaii) will be teaching K-8 at Oak Street Christian School in Brainerd. Rachelle Nelson (Nebraska) will be opening the new school in Blackberry with six students in Grades K-6. She is a 2015 graduate of Union College. Chad Dungan (Texas and Tennessee) will be the 5-8 teacher at Capital City Adventist Christian School. We welcome each of these teachers new to our conference with joy and thanksgiving, praying that the 2015-2016 school year will be the best school year ever!